Dive into a spontaneous road trip within Karnataka and fill your heart with memories that will last a lifetime! A word of advice: Slow down and enjoy every moment of life, and the scenic beauties along the journey. Here's a 3-day itinerary for a road trip from Bylakuppe to Nagarhole. Located roughly 80 km from the city of Mysore and 230 km from Bengaluru, this place is a hidden gem. Spending time in Bylakuppe is nothing short of a blessing. Hidden in the corner of Karnataka, it's easy to hop into this place whenever you crave for a refreshing change. There is a wonderful aura of peace and warmth that makes you come back to this place time and again. The monasteries of Bylakuppe take you to a completely different world of art and design. Although it's a small town, it has hotels, schools, flourishing markets and numerous signs of Tibetan civilisation. For a moment, you will think that you have landed in Tibet. The Golden Temple is one of the major attractions over there. The temple houses as much as five thousand nuns and monks. There are three golden statues of Buddha, Padmasambhava and Amitayus inside the temple, which are captivating enough to blow your mind. For those who want to indulge in nearby day tripping, Nisargadhama forest could be the best choice. You can reach the place within 30 minutes from Bylakuppe. Nisargadhama has a very inviting entry. One might find it fascinating to cross the hanging bridge across river Kaveri. One can enjoy spending time on the riverbed, watching animals on the parks, boating or simply partaking in the scenic beauty that surrounds the place. Once in the place, you cannot miss visiting the Dubare Elephant Camp which is about 12 km (25-minute drive) from Nisargadhama forest. Tourists find it fun to engage in activities involving elephants. But, there's more to the place than elephant sightseeing. Tourists can indulge in trekking, fishing and rafting as well. The camps have many cottages, where tourists can enjoy a comfortable stay. Mandalpatti is a nice place to visit around sunrise or sunset to indulge in the divine beauty of nature. It's the second largest peak in Madikeri. The road leading to the place can be best covered by a jeep or a decent SUV. It's advisable to hire a local jeep if you are not very good behind the wheels because it's quite a bumpy ride to the top. Spare a good 2 to 3 hours to enjoy your visit to Mandalpatti to the max. This place is not recommended for elderly people because the bouncy roads will test one's heart and bones. Surrounded by lush green forests and gushing through the rocks, Abbey Falls offers a majestic view. It's a good place to click some pictures and get acquainted with the beauty of nature. The distance between Mandalpatti and Abbey Falls is around 9 km which can be covered within a 20-minute drive. scenic locations makes Madikeri an evergreen picnic spot for tourists across India. Omkareshwara Temple, Tata Tea Estate, Gaddige Raja's Tomb and Raja's Seat are some of the other attractions in Madikeri. A witness to numerous battles, the Madikeri Fort is also worth a visit. An ancient and historic temple devoted to Lord Shiva, the Bhagamandala Temple is a must-visit for spiritual tourists. It's located very close to the Madikeri City Center. The carvings on the walls and ceilings are simply mind-blowing. One can take a holy bath in the nearby river. Food is also served to all the devotees after prayer. It's also a good place to buy souvenirs. Located at a distance of 33 km from Madikeri, the place can be easily accessed through private and government buses. Talakaveri is a popular pilgrimage destination and the birthplace of the holy Kaveri river. Located at a distance of 8 km from Bhagamandala Temple, it lies 1276 metres above sea level. Getting here from Bhagamandala Temple is easy via public transport. Some of the nearby places that can be explored on a visit here are Brahmagiri Peak and Brahmagiri Wildlife Sanctuary. The best months to visit Talakaveri Temple are from early September to May. A visit to Iruppu Falls could prove to be the best part of one's journey while exploring the waterfalls in Madikeri. It's a good place to relax, bath, have fun, take pictures and to enjoy some amazing views. At full flow, the fall literally thunders down the mountain with serious power. But, be prepared to climb 120 steps to make it to this exotic waterfall. The best time to visit would be the monsoon season. There will be enough water to enjoy, even if you are visiting before or after monsoon. There are lots of resorts and homestays in close vicinity of this fall, so there is no shortage of places to eat or stay. It might take close to 3 hours to reach here from Talakaveri since one has to cover 106 km to reach this location. The best months for a visit are from August to January. The Iruppu Falls, Kutta and the Rameshwara Temple are the top tourist destinations over here. The Nagarhole National Park is also worth a visit. 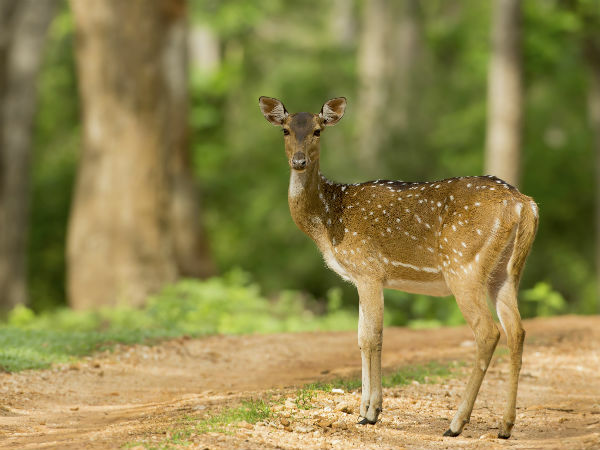 Rich in wildlife, the Nagarhole National Park is packed with raw beauty. From wild elephants to deer, fox, crocodile and leopards, the park offers extensive wildlife sightseeing. The best months to visit Nagarhole are from February to December. It might take around 20 minutes to reach here from Iruppu Falls as the proximity between the two is only 9 km.